Dang –Farmers at Bhatte village of Tulsipur Sub Metropolis-3 have been worried after the maize they cultivated got diseased. The stalk rot of maize has destroyed the crop in five bighas of land, said a local Karna Bahadur Oli. The maize about to grain suffered stalk rot disease. They had sowed the seeds of local kanchan and rajkumar species of maize bought from Tulsipur bazaar. 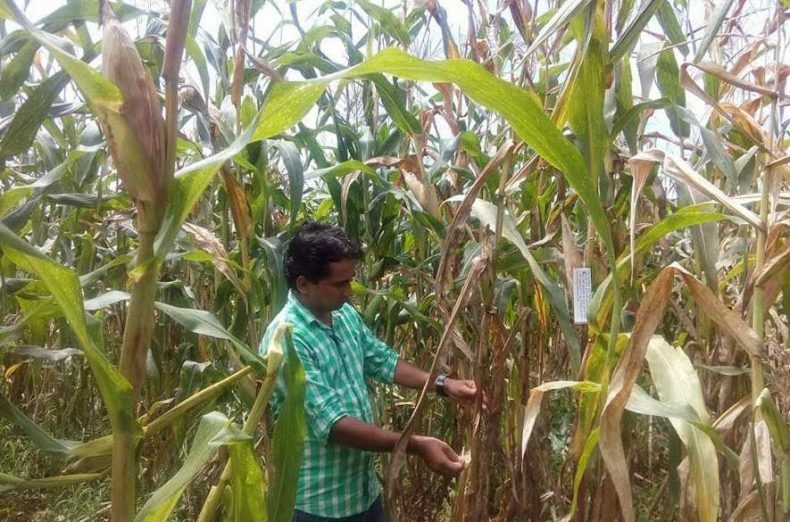 "We cultivated these species of maize hoping ample harvest, but the stalk rot disease destroyed the crop," Oli said, expressing despair. They have also complained at Tulsipur agriculture office. Office chief Tilak KC however informed that the famers had to conduct soil test before beginning plantation.